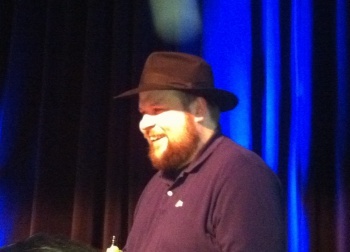 The $18 million price tag on Psychonauts 2 left Minecraft mastermind Markus "Notch" Persson with a serious case of sticker shock. Back in February, Notch set the world (or at least our little part of it) on fire when he reached out to Psychonauts creator Tim Schafer to say, "Let's make Psychonauts 2 happen." Was he serious? "I'm serious," he tweeted shortly thereafter. A week later things got even more serious when Schafer claimed that Notch had expressed no reservations about a $13 million budget for the game. "As soon as I mentioned the amount of money he said, 'Yeah, I can do that'," Schafer said. But now it seems that the ugliness of reality has set in and Notch is having second thoughts, not just about the money but about the effort involved in throwing around that kind of bankroll. "I somewhat naively thought 'a couple of million' was two million. I had no doubt in my mind that a Psychonauts 2 would earn that money back easily," he recently wrote on Reddit. "Turns out they wanted 18 million dollars, haha. I don't have the time at the moment to even try to get educated enough to make an eighteen million dollar deal. Perhaps in some distant future when I'm no longer trying to make games, I could get into angel investing," he continued. "I've made one private investment into a game so far, at 100k, and it's frankly a lot more work than I thought." It's hard to have a whole lot of sympathy for a guy who's biggest problem with an $18 million deal isn't the $18 million but the hassle of setting it all up, and the comment about assuming that "'a couple of million' was two million" doesn't at all jibe with what Schafer said a year ago. But you can't really blame the guy for not wanting to throw away 18 million bucks just to impress strangers on the internet, either. Regardless of how you want to look at it (and let's be honest, criticizing Notch with any degree of seriousness for having a change of heart on this would be awfully silly), the bottom line remains the same: For the foreseeable future, the Psychonauts 2 brakes have been firmly applied.